A laudably contrarian view of Mad Men appeared in the recent issue of The New York Review of Books by Daniel Mendelsohn, “The Mad Men Account,” raising a number of important questions before making a remarkable and even rather touching conclusion, namely, that the real subtext of the show is an attempt by boomer children to come to terms with, and maybe even forgive, their parents. Mendelsohn still sells the series short: for example, when he claims that he was only genuinely drawn into the drama once in the entire four seasons (as participant rather than observer), it’s a little hard to believe. And who’s to say the stuff of soap opera isn’t also the stuff of life?! His critique of the acting as vacant may have a basis – I’m thinking of Betty – but even there, it’s a half-truth; vacancy is sort of the point. Peggy and Pete go noticeably unmentioned, both played by actors who imbue their roles with undeniable blood and guts. But most of his gripes actually underline the show’s peculiar brilliance, especially if it is ultimately about children and parents. 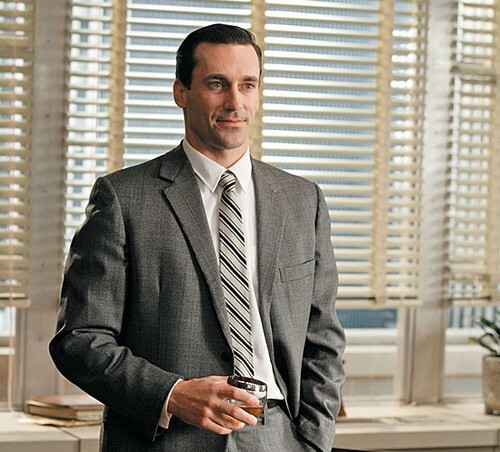 That is, the Both/And nature of the Mad Men perspective–being simultaneously attracted to and repelled by the era and industry it depicts–is precisely one of the things that makes the show so compelling. We are currently living in a new golden age of television, a medium that has been liberated by cable broadcasting to explore both fantasy and reality with greater frankness and originality than ever before: as witness shows as different as the now-iconic crime dramas The Sopranos and The Wire, with their darkly glinting, almost Aeschylean moral textures; the philosophically provocative, unexpectedly moving sci-fi hit Battlestar Galactica, a kind of futuristic retelling of the Aeneid; and the perennially underappreciated small-town drama Friday Night Lights, which offers, among other things, the finest representation of middle-class marriage in popular culture of which I’m aware. Mad Men keeps telling you what to think instead of letting you think for yourself. 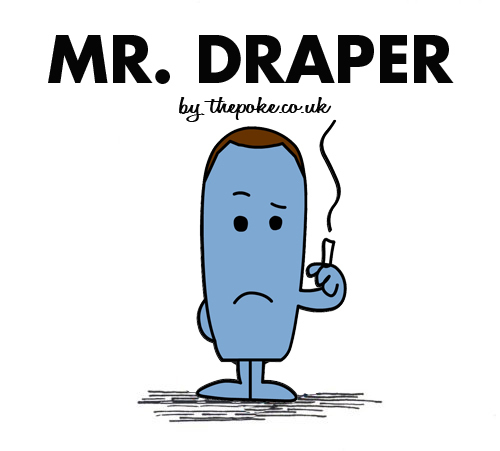 As I watched the first season, the characters and their milieu were so unrelentingly repellent that I kept wondering whether the writers had been trying, unsuccessfully, for a kind of camp—for a tartly tongue-in-cheek send-up of Sixties attitudes… But the creators of Mad Men are in deadly earnest. It’s as if these forty- and thirty-somethings can’t quite believe how bad people were back then, and can’t resist the impulse to keep showing you. This impulse might be worth indulging (briefly), but the problem with Mad Men is that it suffers from a hypocrisy of its own. As the camera glides over Joan’s gigantic bust and hourglass hips, as it languorously follows the swirls of cigarette smoke toward the ceiling, as the clinking of ice in the glass of someone’s midday Canadian Club is lovingly enhanced, you can’t help thinking that the creators of this show are indulging in a kind of dramatic having your cake and eating it, too: even as it invites us to be shocked by what it’s showing us (a scene people love to talk about is one in which a hugely pregnant Betty lights up a cigarette in a car), it keeps eroticizing what it’s showing us, too. For a drama (or book, or whatever) to invite an audience to feel superior to a less enlightened era even as it teases the regressive urges behind the behaviors associated with that era strikes me as the worst possible offense that can be committed in a creative work set in the past: it’s simultaneously contemptuous and pandering. Here, it cripples the show’s ability to tell us anything of real substance about the world it depicts. The tension between the luminous ideal and the unhappy reality is, of course, what the show thinks it’s “about”—reminding us, as it so often and so unsubtly does, that, like advertising itself, the decade it depicts was often hypocritical, indulging certain “images” and styles of behavior while knowing them to be false, even unjust. But this shallow aperçu can’t explain the profound emotionalism of the scene. In a lengthy New York Times article about Mad Men that appeared as the show—by then already a phenomenon—was going into its second season, its creator, Matthew Weiner, recalled that he had shown the carousel episode to his own parents, and the story he tells about that occasion suggests where the emotion may originate. 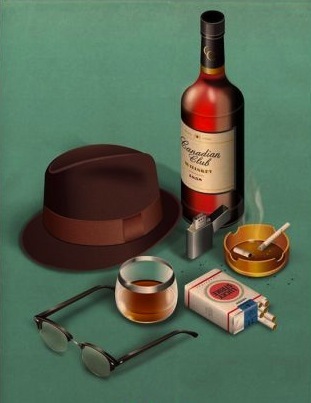 This, more than anything, explains why the greatest part of the audience for Mad Men is made up not, as you might have imagined at one point, by people of the generation it depicts—people who were in their twenties and thirties and forties in the 1960s, and are now in their sixties and seventies and eighties—but by viewers in their forties and early fifties today, which is to say of an age with those characters’ children. The point of identification is, in the end, not Don but Sally, not Betty but Glen: the watching, hopeful, and so often disillusioned children who would grow up to be this program’s audience, watching their younger selves watch their parents screw up. Hence both the show’s serious failings and its strong appeal. 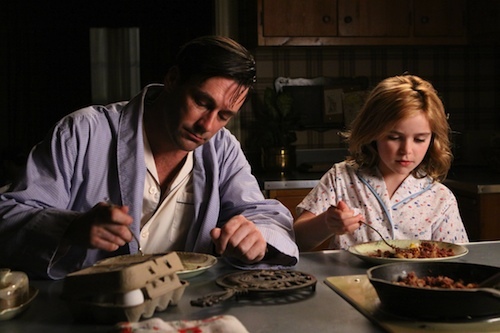 If so much of Mad Men is curiously opaque, all inexplicable exteriors and posturing, it occurs to you that this is, after all, how the adult world often looks to children; whatever its blankness, that world, as recreated in the show, feels somehow real to those of us who were kids back then. As for the appeal: Who, after all, can resist the fantasy of seeing what your parents were like before you were born, or when you were still little—too little to understand what the deal was with them, something we can only do now, in hindsight? And who, after having that privileged view, would want to dismiss the lives they led and world they inhabited as trivial—as passing fads, moments of madness? Who would still want to bash them, instead of telling them that we know they were bad but that now we forgive them? Who, after all, can resist the fantasy of seeing what your parents were like before you were born, or when you were still little…Who would still want to bash them, instead of telling them that we know they were bad but that now we forgive them? Last night I looked at my wall saw the vinyl soundtrack of Back to the Future and thought pretty much the exact same thing. great article. Great article, though as you said, quite contrarian. I do think Matthew Weiner and company engage in a bit of what C.S. Lewis called chronological snobbery. Great food for thought. Beautiful and very moving. As someone who was one of "those children," I agree with this completely. Thanks, DZ. Thanks Matt, for the lovely phrase Chronological Snobbery. DZ – You're on fire with the posts lately! Really looking forward to the rest of the article, I really enjoy Mad Men! Thanks for the link! I just started watching and am in Season 2. I am finding it strangely cathartic. After reading this, I now know why. Thanks DZ!